When I first came across this adorable vintage kitten graphic at freevintagedigiscraps.blogspot.com, I knew I had to make something with it for Valentine's Day! I mean, could this little kitty be any more precious? 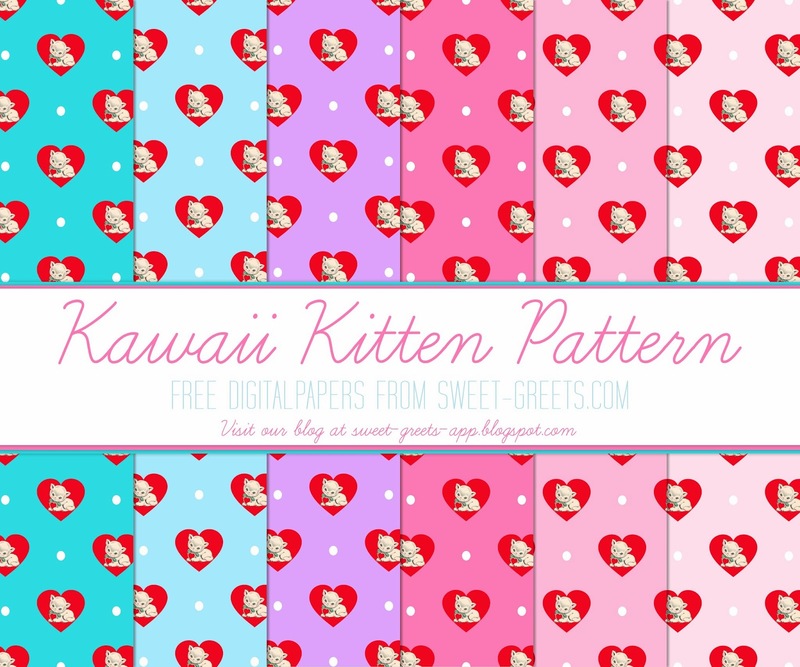 Anyway, here is a set of 6 12x12 inch digital papers in pinks, blues and purples featuring this adorable kawaii kitty nestled within a red heart.